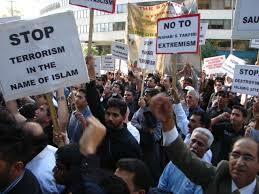 The accusation is often made that the Muslim community is not doing more to combat extremism in its midst. Here’s evidence that they are doing more than many people realize. The press doesn’t cover this well . . . When Adam Yahiye Gadahn was kicked out of an Orange County mosque in 2004, it was for good reason. He was a troublemaker who only meant more trouble for that mosque. Gadahn was kicked out for creating firestorms of controversies for his actions and was remembered as being “angry, rigidly pious, and hypercritical of any Muslim who adopted Western clothes or manners,” according to the Washington Post. Then there is Tamerlan Tsarnaev. He was kicked out of a Boston mosque after verbal altercations with Muslim leaders there. Tsarnaev didn’t believe talks about Martin Luther King, Jr. and his civil rights work belonged in mosques. Sadly, both Gadahn and Tsarnaev later became involved in terrorism: Gadahn became al-Qaeda’s spokesman, and Tsarnaev was killed in a shootout with police after being implicated for the Boston Marathon bombing. What Gadahn and Tsarnaev exemplified through their actions in their local mosques weren’t necessarily indicators of pre-operational terrorist planning. And, actions of mosque leaders were understandable, especially when federal authorities place extra scrutiny on Muslim institutions in America. However, the reflexive action to kick both young men out of the mosque wasn’t the answer either. The lessons learned in hindsight are a clarion call to all of us to adjust our approach toward young people who express themselves in a troubling manner. Rather than kicking them out, we need to intervene. Hence last week, the Muslim Public Affairs Council launched the “Safe Spaces Initiative,” a community toolkit designed to empower the community to address these situations and concerns through the PIE model — Prevention, Intervention, Ejection. We aim to prevent violent ideology with a dose of good theology and healthy, honest conversations in our mosques. We then try to intervene with anyone who exemplifies troubling behavior. Finally, we resort to ejection from our mosques when all other measures are exhausted. In all cases of violent activity, we remind our constituents to call law enforcement. The precise mechanisms for these steps can be found in the community toolkit. Christian and Jewish leaders have rallied to support the Muslim community, asking members of the Australian public to join them in a campaign called “We’ll love Muslims 100 years”. 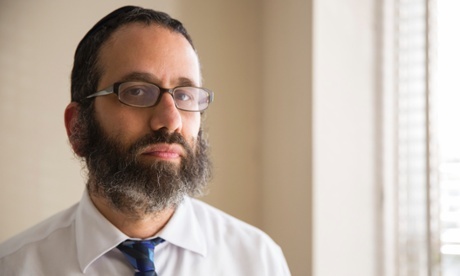 Rabbi Zalman Kastel will join Australian Christian Churches pastor, Brad Chilcott, Tim Costello and other denominational leaders in three events in New South Wales, South Australia and Western Australia on Friday to declare their support for Australian Muslims. The title makes a play on a recent headline in the Weekend Australian, “We’ll fight Islam 100 years”, which accompanied a story quoting a former head of army Peter Leahy saying that Australia must prepare for a war against radical Islam lasting for the rest of the century. A new banner reflecting the campaign message. Leaders will hold a banner headline, “We’ll love Muslims 100 years”, under a mock-up newspaper masthead called The Welcoming Australian. He also described as divisive the “us and them” language developing around Christians being killed but not acknowledging Yazidis and Muslims were also being targeted. Since the Israeli Defense Force (IDF) launched Operation Protective Edge on July 8, the IDF has completed 1,300 air strikes, and ground troops have destroyed more than 30 cross-border tunnels. Since January, combatants inside Gaza have fired about 3,000 rockets into Israel. It is the deadliest conflict between Palestinians and Israelis since the Second Intifada, which ended in 2005. As of mid-August, more than 2,000 have died in the current conflict, including 1,975 Gazans (combatants included), 64 Israeli soldiers, and two Israeli civilians. 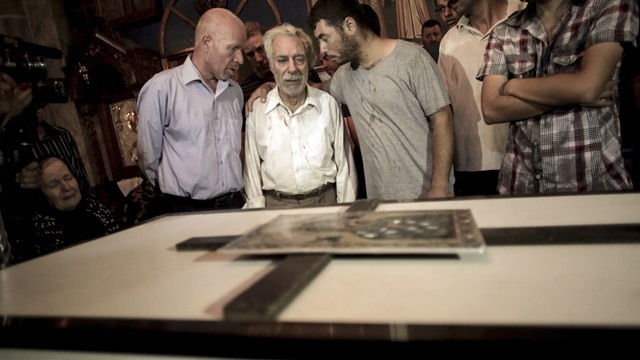 The Christian minority inside Gaza has not been spared fatalities. But it has also offered shelter, food, education, and medical care to hundreds of Gazans. Hanna Massad, former pastor of the Gaza Baptist Church, has been coordinating Christian aid efforts from his current pastorate in Amman, Jordan. Massad is a graduate of Bethlehem Bible College and earned a doctorate in theology at Fuller Theological Seminary. 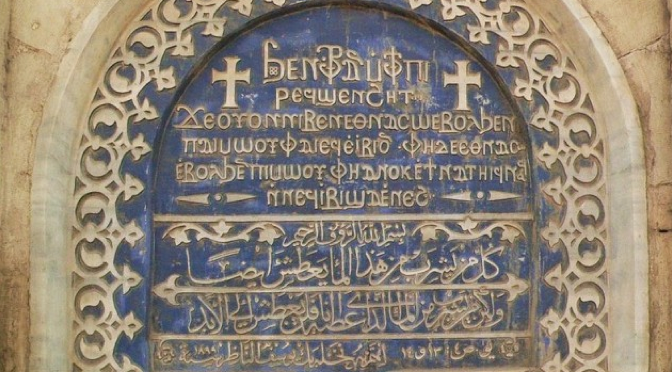 There have been Christians in Gaza since the third century. Timothy C. Morgan, senior editor, global journalism, and journalist Deann Alford interviewed Massad recently by phone and email as the conflict continued. CT is pursuing a similar interview from the perspective of Christians inside Israel on the latest conflict. What are Christians inside Gaza telling you? I was happy to hear about the ceasefire. This morning the news was that, unfortunately, the fighting has continued. Several times daily I communicate with Gaza by phone or Skype. Water supplies are very low in Gaza. There’s little or no electricity. I’ve spoken with my Muslim neighbors and Christians. All are waiting and anxious about what will happen next. The campaign by the Dar el-Ifta, the top authority that advises Muslims on spiritual and life issues, adds to the war of words by Muslim leaders across the world targeting the Islamic State group, which controls wide swaths of Iraq and Syria. Its violent attacks, including mass shootings, destroying Shiite shrines, targeting minorities and beheadings including American journalist James Foley, have shocked Muslims and non-Muslims alike. 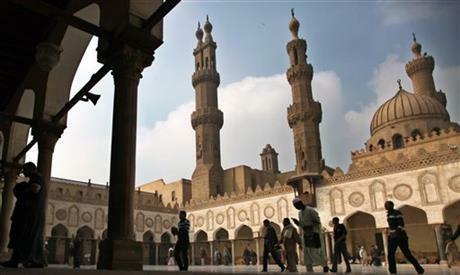 The Grand Mufti of Egypt, Shawki Allam, previously said the extremists violate all Islamic principles and laws and described the group as a danger to Islam as a whole. Now, the Dar el-Ifta he oversees will suggest foreign media drop using “Islamic State” in favor of the “al-Qaida Separatists in Iraq and Syria,” or the acronym “QSIS,” said Ibrahim Negm, an adviser to the mufti. The situation in Iraq and ISIS has been one of the biggest news stories to happen in the Middle East. How the Hamas is towards the Jews, ISIS is towards Christians, especially those who live in Iraq. Because of how the terrorist group views and treats Christians, many things have happened that are considered monumental for the country. Here on The Inquisitr, we reported how ISIS gave the ultimatum that Iraqi Christians should either convert, leave, or die. The majority of them went with the latter option in which the result is that for the first time in Iraq’s history, Mosul is void of Christians. Let’s not forget that ISIS are beheading Christian children too! However, it should be reported that ISIS is just the radical element of Islam, and there are Muslims who are honorably peaceful to Christians. This is proven in numerous reports of an Iraqi Muslim seen crying on television for Iraqi Christians and what they have to endure with ISIS. The video can be observed below. The “Allah” issue, which had a final hearing in the highest court in Malaysia, provided further evidence that Christian-Muslim tensions globally are on the rise. The Christian and Islamic worlds can contribute to global inter-religious harmony given their common Abrahamic roots. CHRISTIANITY AND ISLAM are two major religions embraced by more than half of the world’s population. With such a significant share of the global population, relations between Christians and Muslims will therefore have a huge impact on the state of religious harmony globally. Unfortunately, the world today continues to witness the rising global trend of Christian-Muslim tensions and even conflicts that seriously affect inter-religious relations. One that is very near home is the “Allah” issue. It became so protracted that it created tension between the two communities in Malaysia. The recent verdict of the apex Federal Court to reject the appeal of the Catholic Church to over-turn the High Court’s earlier judgement in October 2013 disallowing use of the term “Allah” in its weekly bulletin The Herald will hopefully put a closure on the “Allah issue”. Fortunately, the “Allah issue” did not escalate into violent conflict, unlike the numerous Christian-Muslim conflicts in recent times. The bloody Christian-Muslim confrontation in Maluku, Indonesia a few years ago, in which many were killed, was a grim reminder about how tragic inter-religious strife could be. WASHINGTON — The U.S. bishops’ Committee for Ecumenical and Interreligious Affairs said the Catholic Church remains committed to dialogue with leaders of other religions and Muslims in particular. Reiterating that commitment is especially needed now, the committee said in a statement released late Aug. 19, because tensions between Christians and Muslims have never been more acute and some Catholics and members of other denominations have rejected interfaith talks. “Sadly, in recent years, there has been a deliberate rejection of this call to engage in dialogue with our Muslim brothers and sisters by some in the Catholic Church and in other ecclesial families,” said the U.S. Conference of Catholic Bishops’ committee, whose chairman is Auxiliary Bishop Denis J. Madden of Baltimore. The statement did not specify types of aggression, but in recent months thousands of fighters with the Islamic State, or ISIS, seized control of large parts of northern and central Iraq and eastern Syria, leading to a mass exodus of Christians and other religious minorities from those regions. They were told by militants to flee, convert to Islam or be killed. “It is our belief that the most efficient way to work toward ending or at least curtailing such violence and prejudice is through building networks of dialogue that can overcome ignorance, extremism, and discrimination and so lead to friendship and trust with Muslims,” the committee said. The statement noted that for the past 20 years the committee has been involved in official dialogues with several national Muslim organizations.